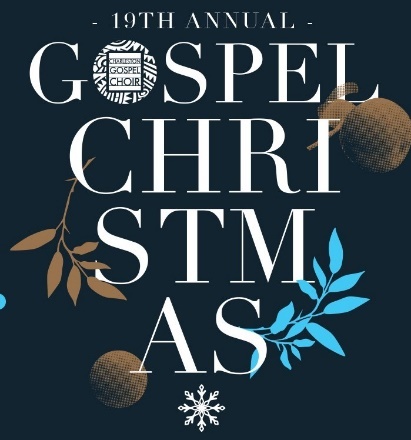 The acclaimed Charleston Gospel Choir presents the 19th Annual Gospel Christmas Saturday, December 1, 2018, 7:30 p.m. at Burke High School Auditorium, 244 President Street, Charleston. A Lowcountry household name, the Charleston Gospel Choir brings real meaning to Charleston’s musical landscape performing down-home traditional spirituals and gospel renditions including s including gospel arrangements of Carol of the Bells, Do You Hear What I Hear, and Little Drummer Boy. The performance will be conducted by acclaimed conductor Dr. Antoine T. Clark, featuring the Gospel Christmas Orchestra comprised of regional musicians for a rousing celebration of gospel favorites, moving spirituals, and festive holiday arrangements. This year the Queen City Singers of Charlotte, D.J. Boyd, Director, will join the Charleston Gospel Choir. Mr. Boyd guest conducted the Choir in Spring 2015.